So you’ve survived ‘flu season this far without a sniffle, and you’re feeling like you might not need that vitamin C supplement after all? Before you get too lax with your immune-boosting regime, take a look at this list and you might find that your system needs more support than you realise! These are the top tell-tale signs of low immunity, and great “early warning” signals to help you get on top of those nasty viruses and bugs before they start. We all expect to feel sleepier during the winter months; but if you’re experiencing sudden, excessive fatigue it’s a definite early warning sign that your body is preparing to fight a virus. That feeling of fatigue occurs because your immune system has to put so much of its energy into fighting the ‘flu. White blood cells are diverted from their usual job (maintaining healthy muscle fibres and joints), and sent to fight the virus instead; this means that you lose strength in your muscles and joints, and start feeling the weakness, achiness and fatigue that comes with ‘flu. You might think a runny nose is the first sign of a cold, but it’s actually a dry itchy nose you should be worried about. As icky as it might sound, the mucus in your nose is a great line of defense against bugs and germs. That’s because it traps airborne viruses trying to enter your body, and also helps to expel them out of the body (via sneezing or a running nose). 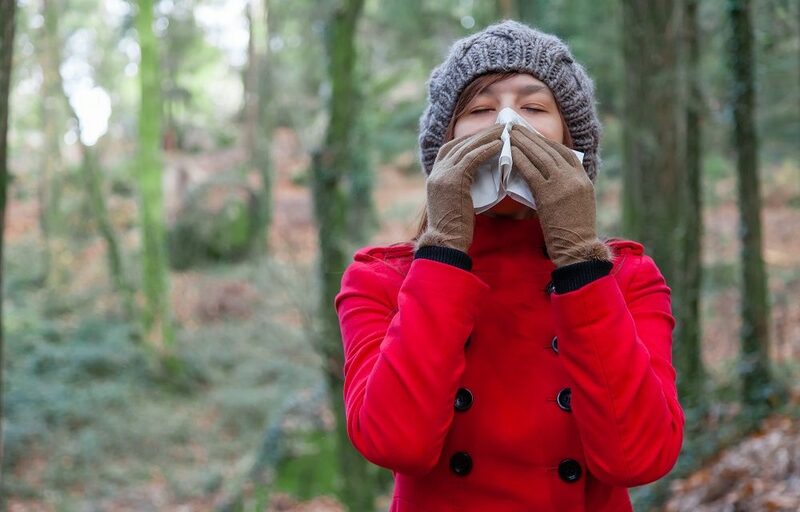 Dry nasal passages leave you way more susceptible to catching a cold or ‘flu. To soothe and hydrate dry nasal passages, use a natural nasal spray or neti pot. You can also prevent your nose from drying out by investing in a humidifier, which will balance the moisture in the air around you – while also lowering the levels of dust, allergens and germs. Another icky topic, but an important one – the less hydrated your body is, the darker yellow your urine will be. 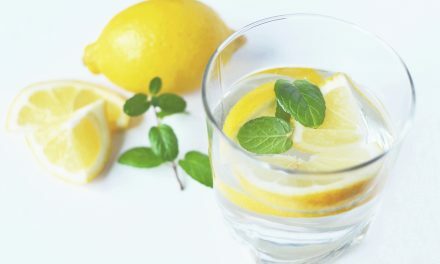 Ideally it should be pale yellow or even clear; if it’s dark yellow, you are most likely not drinking enough water daily, and that means you’re more vulnerable to infection. Your body needs plenty of fluids to flush out toxins, so staying hydrated is a sure-fire way to keep your system germ-free and your immunity strong. Filtered water, green tea, fresh-squeezed juices and yummy vegetable soups are all great hydrating allies when it comes to fighting off bugs. Your skin is your body’s largest organ, and it’s also an immune organ. The condition of your skin serves as a strong indicator of your body’s overall health. A weakened immune system makes it easier for environmental toxins, germs and foreign bodies to breach your skin’s protective barrier, causing dryness and itching, irritation, even infection and discoloration. Reduced immunity also means a reduced ability to heal, and so when your immune system is low you’ll find that bruises, blemishes, cuts and scrapes can take much longer than usual to heal. A natural omega supplement can help you combat this, as it fights inflammation throughout the body and promotes healthy, radiant skin from the inside out. We’re not talking about those little “love handles” we all pick up from winter snacking, but rather about significant excess weight that puts added strain on your system. Those extra pounds aren’t just bad for your heart; they’re bad for your immunity too. Studies have shown that excess body fat, especially abdominal fat, triggers the production of “pro-inflammatory” immune cells, which circulate in the blood and promote inflammation in the body. Chronic inflammation is one of the leading causes of disease, and has a far-reaching impact on your wellbeing. The good news is, losing just 10 pounds (about 4.5kg) can work wonders for rebalancing an off-kilter immune system. One more important fact; if it’s a sweet tooth that’s causing you to gain that extra weight, you may be extra-vulnerable to infection. The structure of glucose and vitamin C is so similar, that excessive sugar in your body actually starts competing against the vitamin C in your system, making it a big immune-lowering culprit. The American Journal of Clinical Nutrition recently found that just 100g of the sweet stuff can lower ability of white blood cells to kill bacteria for up to 5 hours after consumption. So in short, making that sugar-free switch won’t just help you shed the unwanted kilos, it will get your ‘flu-fighting capabilities back on track too! These are just a few simple tips that can really empower you to take control of your wellness this ‘flu season; because you deserve to feel your best every day!